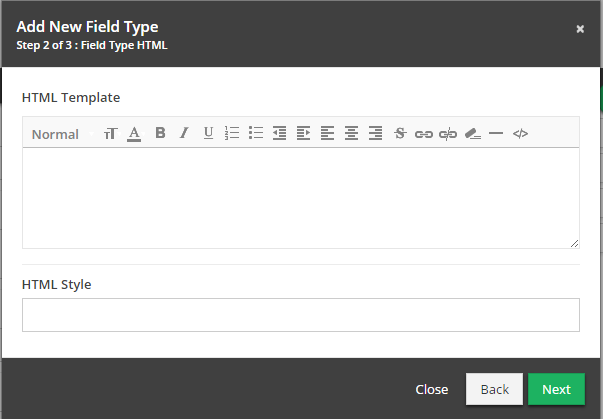 Documentation and SupportReleases Quince Release Notes 2016-08-09Custom Field Types now use Business Rule style triggers. You can now trigger a Custom Field based on criteria similar to Business Rule triggers. 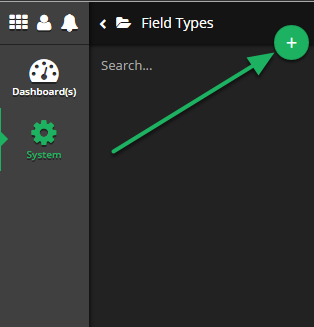 Click on the 'Field Types' System Tool. 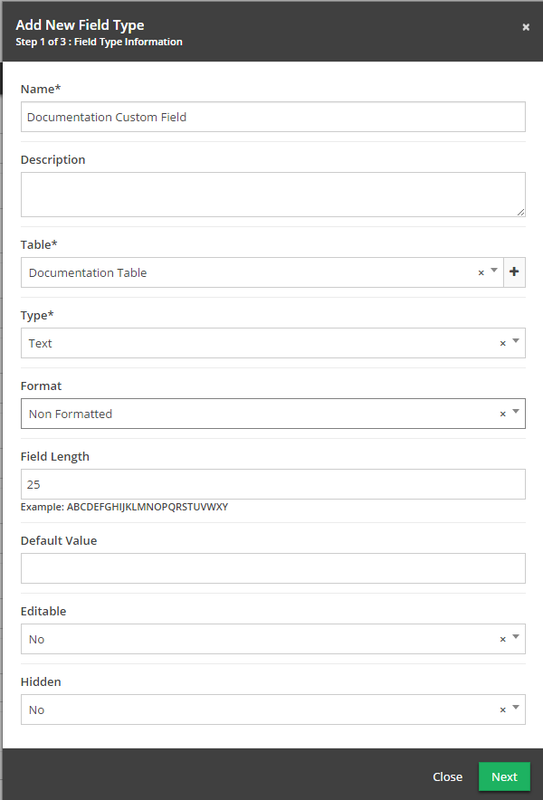 On Table Add: Fire Custom Field on all rows when added to table. 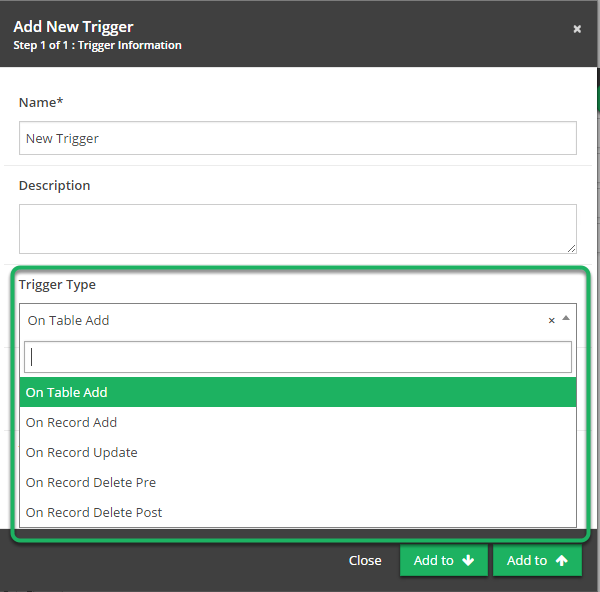 On Record Add: Fire Custom Field on row when record is added to table. On Record Update: Fire Custom Field on row when record is updated in table. On Record Delete Pre: Fire Custom Field on row prior to record being deleted. On Record Delete Post: Fire Custom Field on row after record is deleted. 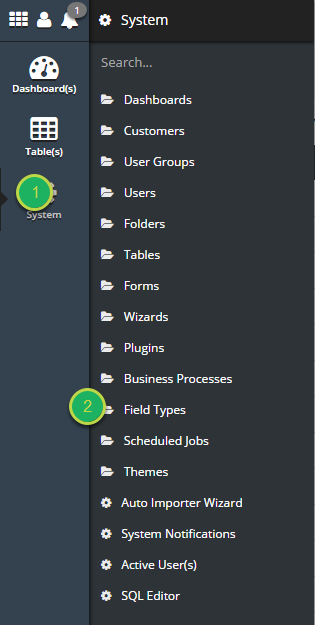 Prev: When creating a Table from within a Wizard, the connection information is automatically filled in.